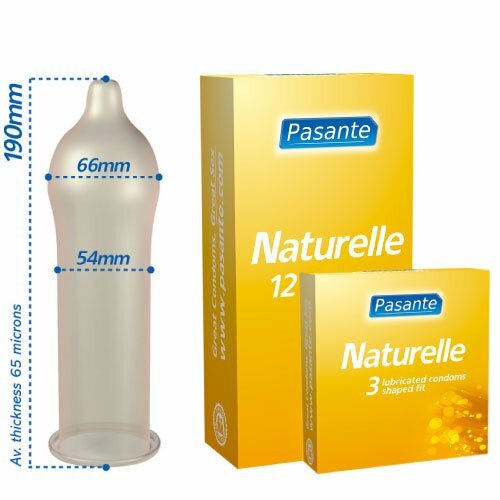 Pasante Naturelle condoms are shaped for a natural feel. Nominal width 54mm Non-spermicidally lubricated. Transparent, teat ended condoms, made from natural rubber latex.